Post Medieval silver hallfgroat? of Henry VIII, third coinage, 1544-7. Reverse description: royal crest quartered by long cross. Post Medieval silver halfgroat of Henry VIII, third coinage 1544-7, London. 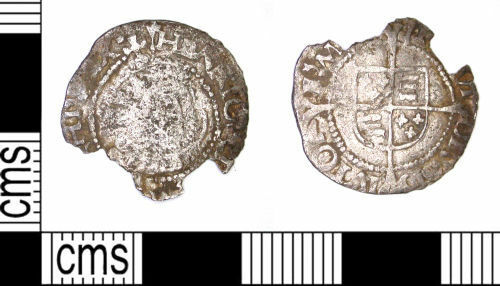 Post Medieval silver groat of Henry VIII, third coinage 1544-7. Post Medieval silver groat of Henry VIII, third coinage, 1544-7.